Arsenal moved up to fourth spot in the Premier League standings after Pierre-Emerick Aubameyang's solitary strike secured victory over Watford on Monday night. The Gunners were afforded a chance to move fourth after Chelsea suffered defeat to Liverpool on Sunday evening. 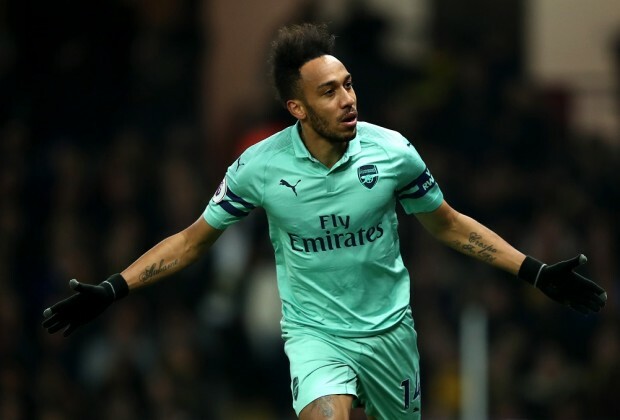 Aubameyang started ahead of Alexandre Lacazette, a decision which proved fruitful as the Gabonese forward chased down Ben Foster's attempted clearance which sailed into the back of the net on 10 minutes. It went from bad to worse for Watford a minute later when captain Troy Deeney was shown a straight red card for an apparent elbow to the face on Lucas Toreira. Despite being a man down, the Hornets went in search of an equaliser as Étienne Capoue went close with a curling free-kick on 31 minutes that was brilliantly palmed away by Bernd Leno. The crowd at Vicarage Road had to wait until the 55th minute for the next bit of action as Foster denied Henrikh Mkhitaryan from six yards out. Moments later, Watford went agonisingly close to leveling matters when Adam Masina rattled the frame of the goal with a powerful strike from distance. Ainsley Maitland-Niles ensured the Gunners walked away victorious as he produced a superb block to deny Andre Grey a certain goal late in the half. As a result, the Gunners now sit in fourth spot, level on points with Chelsea and two ahead of Manchester United.